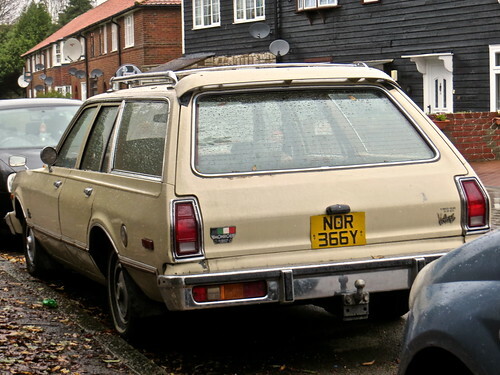 1977 Plymouth Volaré Station Wagon. 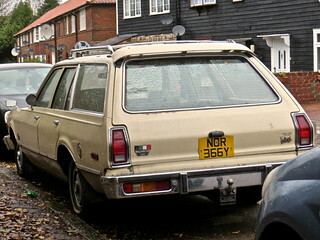 A bit of an odd and uncommon American import, the majority of the 'station wagons' that find their way over here tend to be wooden panel sporting examples, and fairly nondescript and anonymous looking ones are poorly represented. This was a nice one, I remember this day being a combination of wet weather, an iffy area, and struggling with a new camera, so the photos were not good and the majority have not been uploaded. This has since lapsed into unlicensed state on the DVLA, but this appears to be due to a keeper change. Who knows, it may even appear at Wheels Day in a few months (fingers crossed).